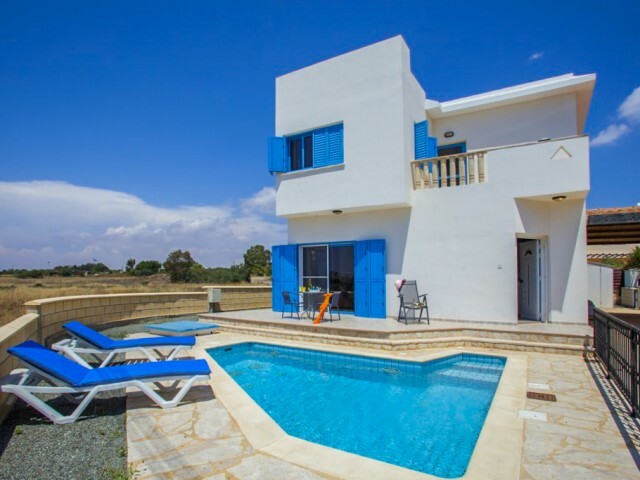 Villa with 3 bedrooms is located on the outskirts of Ayia Napa, a 5 minute drive from the beach, Nissi Beach. It features its own swimming pool, a garden, a furnished terrace and free Wi-Fi. 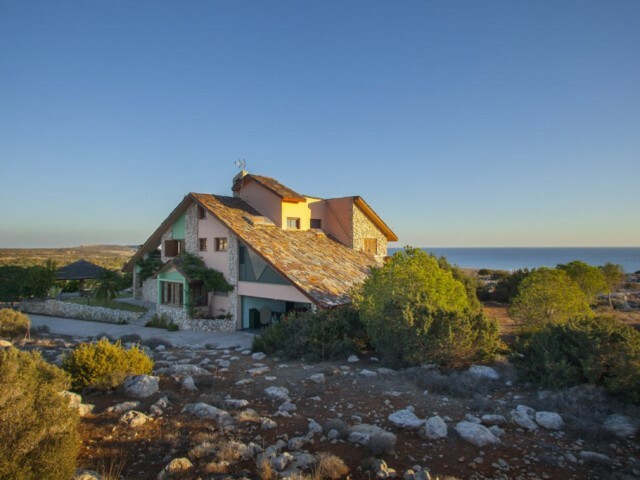 It overlooks the Mediterranean Sea. On the ground floor ..
Villa with 3 bedrooms is located just after the Aqua Park and only 1 km from the beautiful white sand beach in Ayia Thekla. On the first floor open-plan kitchen with dining area and living room, which opens to the outside patio and plunge pool, id..
Villa with 4 bedrooms equipped with everything necessary for guests in the village of Ayia Napa, 500 meters from Konnos Beach, and views of the Mediterranean Sea and the garden. It offers a private swimming pool, fitness center and free Wi-Fi. Ele..
Four bedroom villa in Ayia Napa is a short drive from the town and tourist center. The direct panoramic views of the Mediterranean Sea, the quiet and peaceful place. Large plot of land with a private garden with fruit trees. On the ground floor th..
Villa with 2 bedrooms located a few meters from the beach and the center of Ayia Napa. Magnificent sea views, patio, surrounded by gardens. 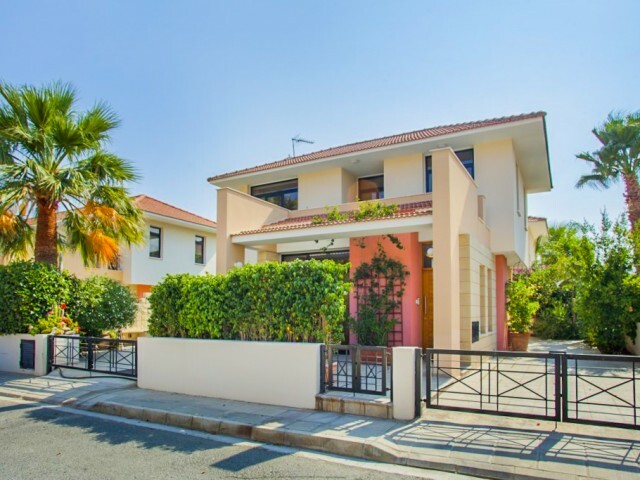 Front of the villa is a garden with a green lawn, where you can relax and enjoy the sea and the evening sun..
Lovely 2 bedroom villa in Larnaca, gated community of villas on the Mediterranean coast. At 8 km from the city of Larnaca. It offers free private parking. Throughout the free Wi-Fi. The villa has a seating area, a kitchen and a private bathroom. F.. Luxury villa on the Mediterranean Sea in Larnaca. Large swimming pool, garden with fruit trees, barbecue area. The villa is equipped with furniture and household appliances. Spacious rooms, open plan kitchen, dining area, fireplace, verandas with ..
Villa in Larnaca with 2 bedrooms in a quiet area, a few meters from the sea. The villa is fully equipped with furniture and household appliances. All rooms have air conditioning, free internet Wi-Fi. Larnaca Airport is an 8 minute drive from the v..
Stone country house in Kalopanayiotis Cottage, located in the valley Marathasa, balcony with views of the surrounding mountains. Free Wi-Fi. The country house has air conditioning, flat-screen TV and DVD-player, a fireplace and a fully equipped ki..
Duplex villa is surrounded by a lush pine forest, 1 km from the village Cannavia in Nicosia. For its guests are equipped with a private pool and a furnished sun terrace, where you can enjoy a free view of the mountains. 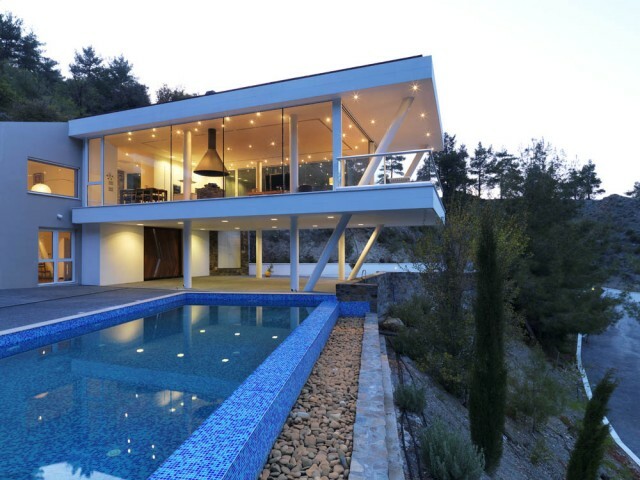 Modern villa also includes ..